You have undercover decorations lying around the house. So the family decides to ambush you at your bare bones apartment. There are no butter cookie jars, what more butter cookies, and your cactus is dying. Don’t panic, help is here. Whip up one of these really last-minute decorations to make it seem like you’ve had it together all year long. 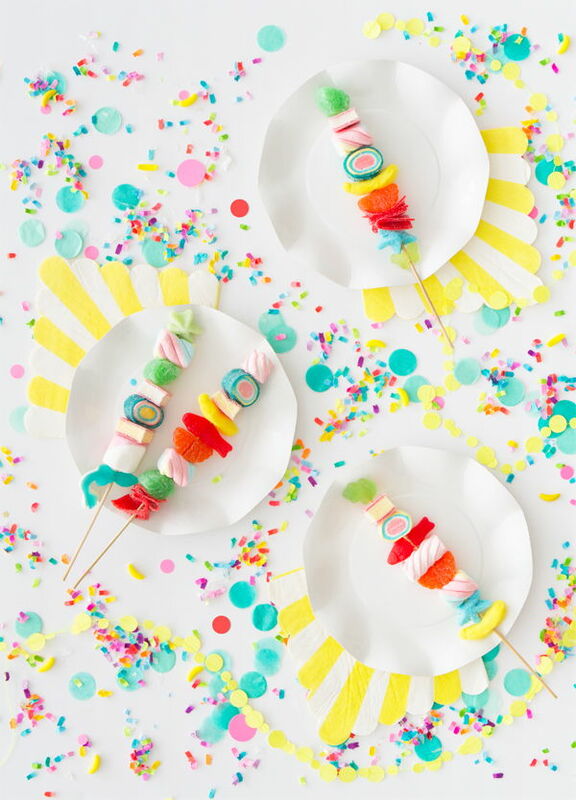 Forget jars of cookies and skewer assorted candies onto satay sticks. Then arrange them prettily around a tray or in individual glasses. Bam! Cheery décor and guest snacks. No candy? No problem. Skewer assorted fruit instead. It’s always good to have artificial flowers handy, but if you don’t, this trick works with leafy plants from the garden too. 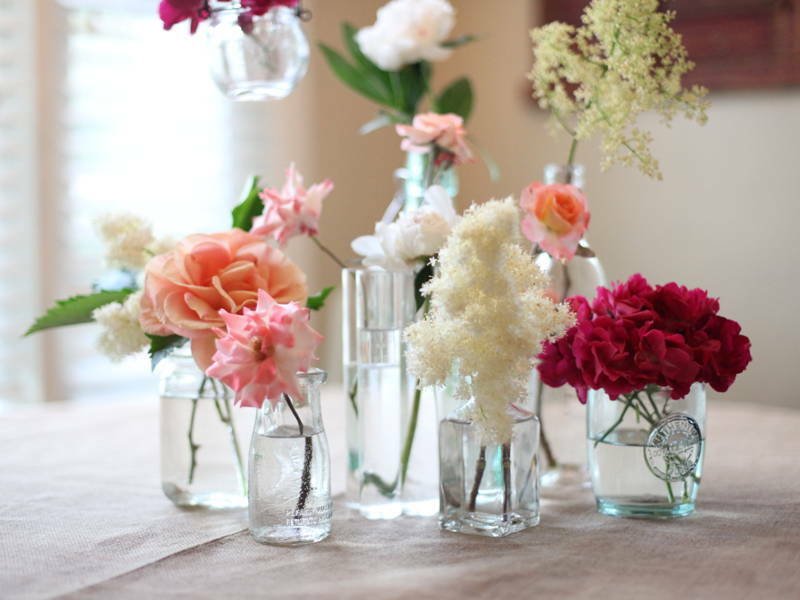 Arrange your faux flowers or trimmed leaf branches into assorted glassware. Try a mason jar, a tall drinking glass, and even smaller glasses. Arrange them together for a stylish, fuss-free centrepiece, or spread them around the different table surfaces at home. Got the whole family knocking right down to your cousin’s cousin’s cousin? Or the whole class of ’05 just minutes away? 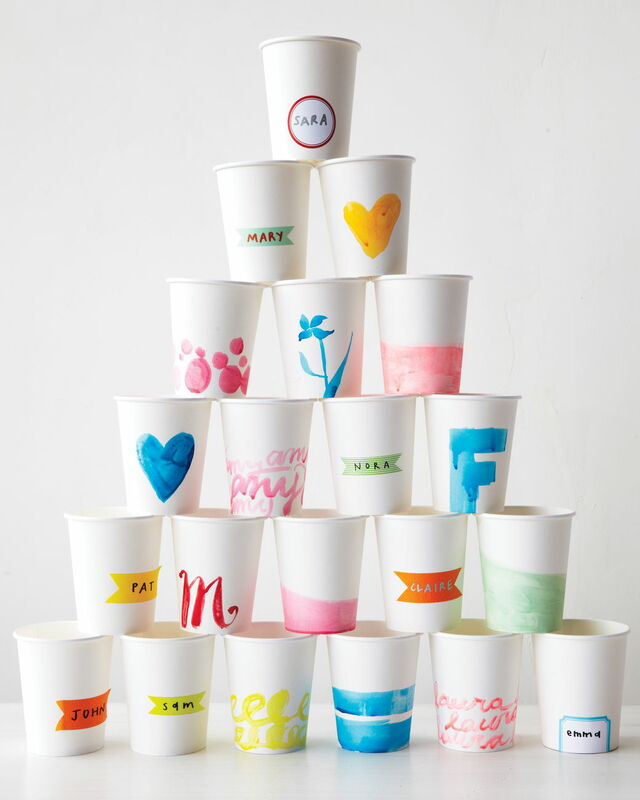 Bring out your stash of party cups and arrange them next to markers, ribbons, stickers, and crayons on a small table. 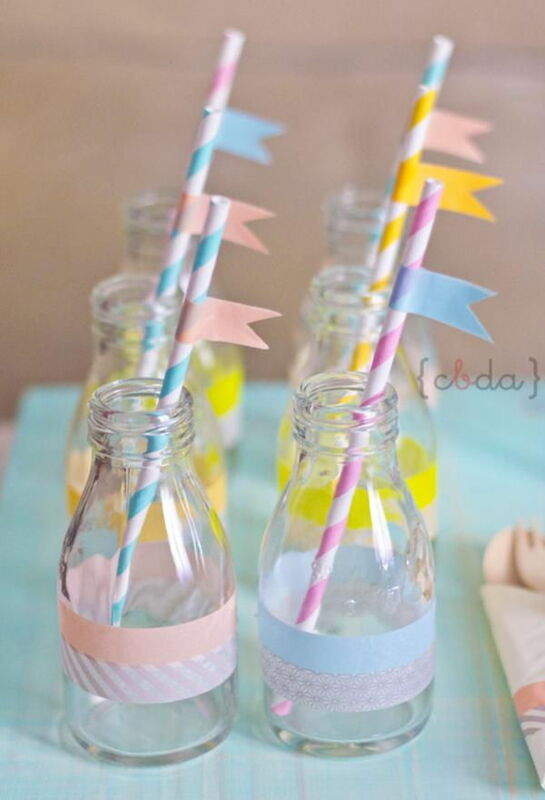 The colourful cups will brighten up the place and it’s a fun activity for everyone. Not to mention that you’ll also avoid mistakenly drinking from that cousin’s cousin’s cousin’s cup. 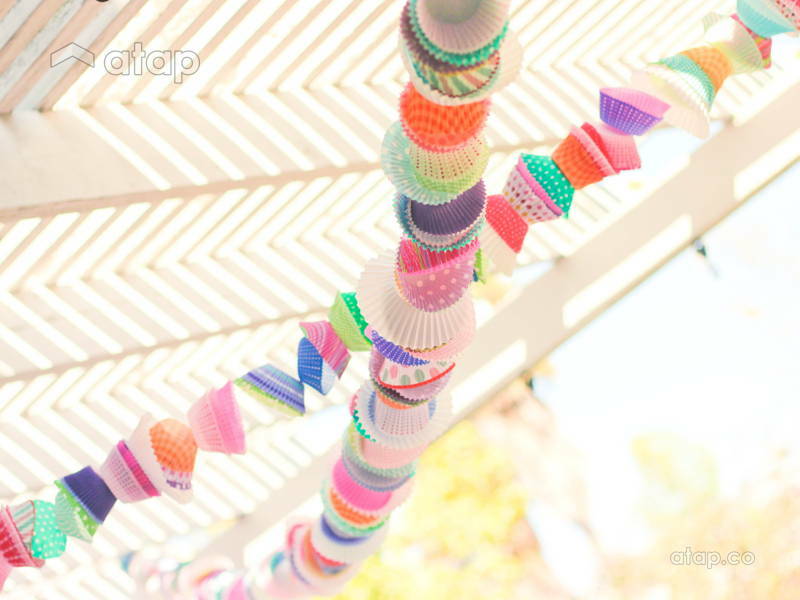 Cupcake liners are versatile and often already have vibrant or festive patterns on them. 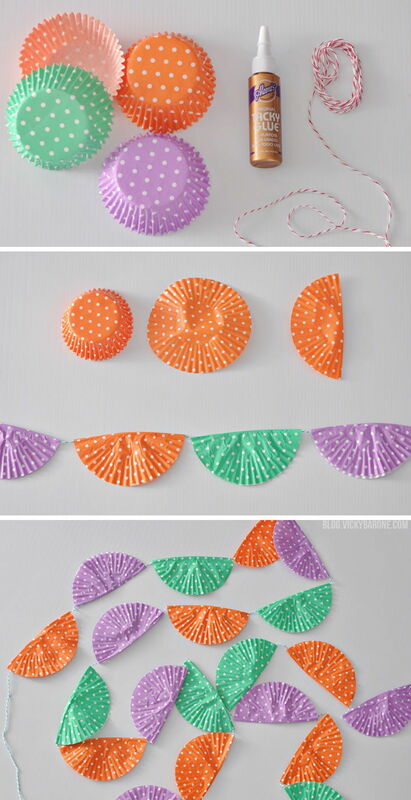 Fold them into half and glue them to a string or rope to create a garland. 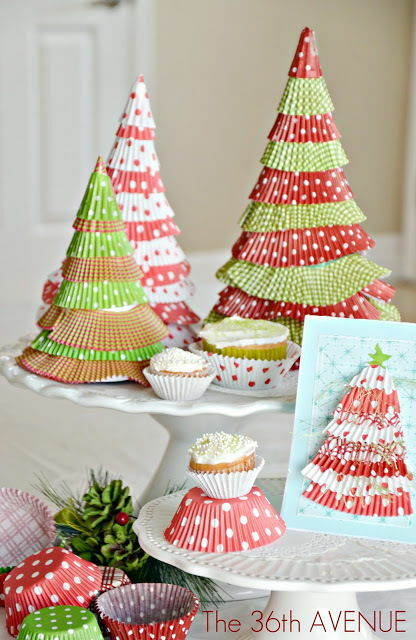 Glue them onto a paper-made cone to create a tiny Christmas “tree”. Who needs a giant Christmas tree when you can have a whole mini garden of them? 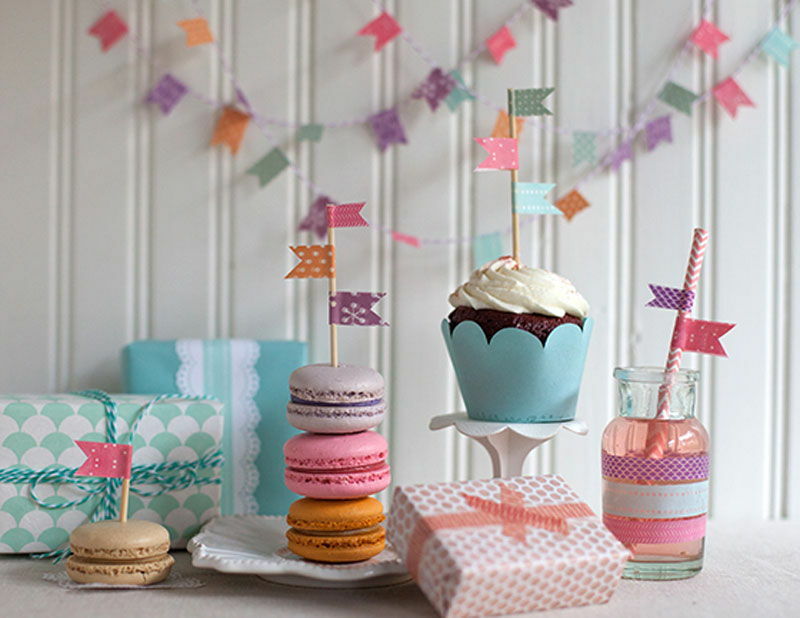 Transform an everyday bottle, tray, skewer, and box into festive displays with the magic of washi tape! 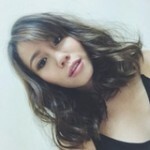 Use these as inspiration. 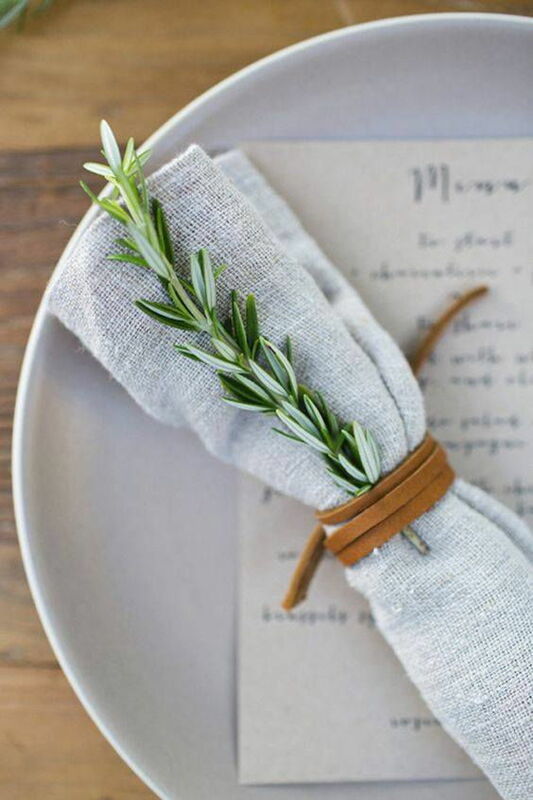 A few sprigs of leaves makes a rustic table setting. Add it to the centre of the table, the napkins, or the plates! Instant rustic charm. 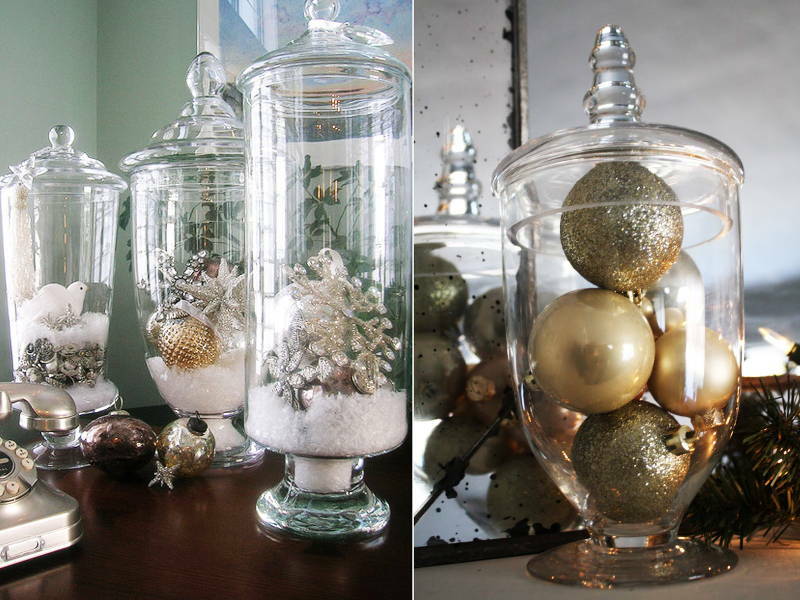 Dump some ornaments and shiny household items into a container. It’s so easy, we can’t even. If you don’t have time to beautify the home, concentrate on the front of the home. 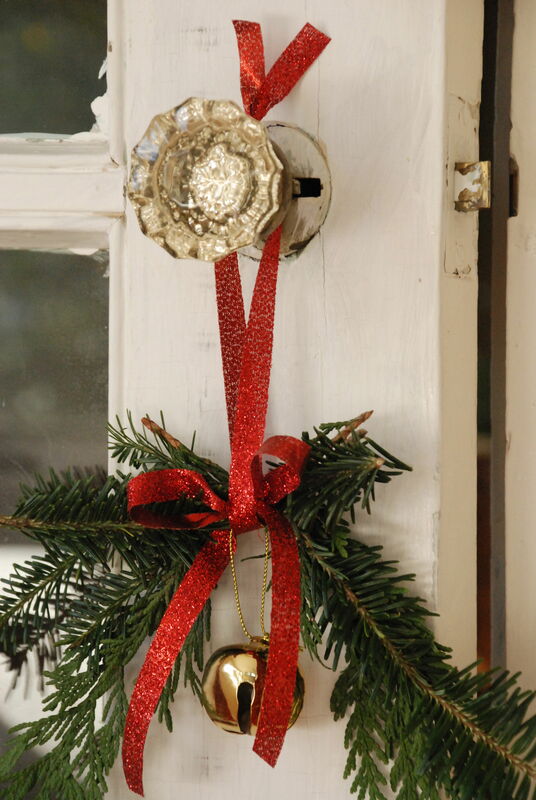 Tie a ribbon or streamer around the doorknob to put guests in a festive mood.